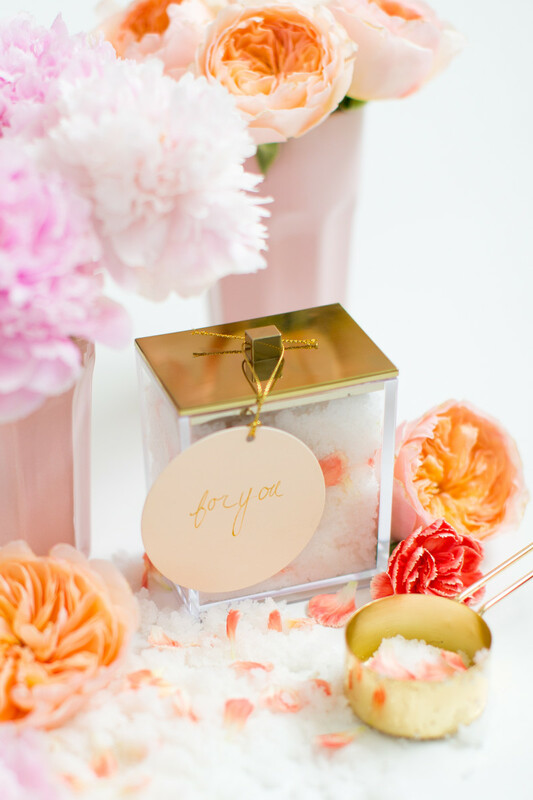 A homemade sugar scrub that gives new meaning to a "sweet" gift. 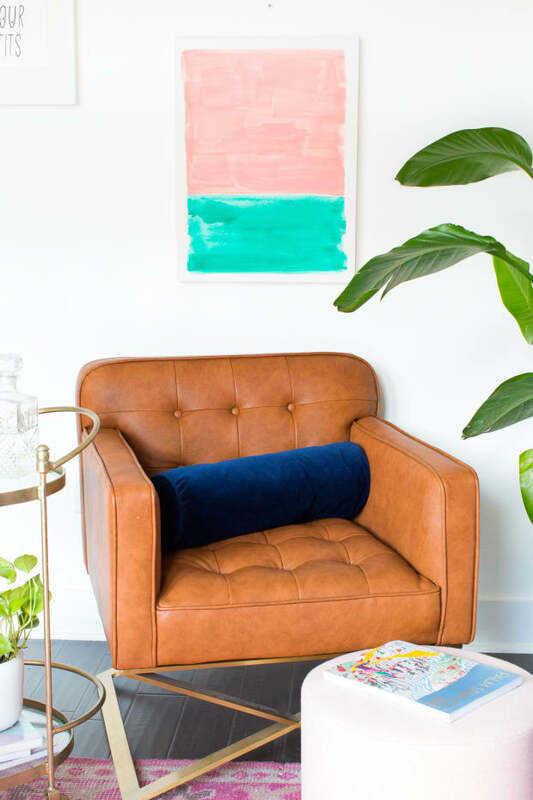 I&apos;ve always been an enormous fan of Sugar and Cloth (just look at the beautiful DIYs they post and you&apos;ll see why) but it wasn&apos;t until recently that I met and became a huge fan of the woman behind it, Ashley Rose! When at a Golden Globes this past year, I was so taken by her infectious energy that we immediately traded emails. 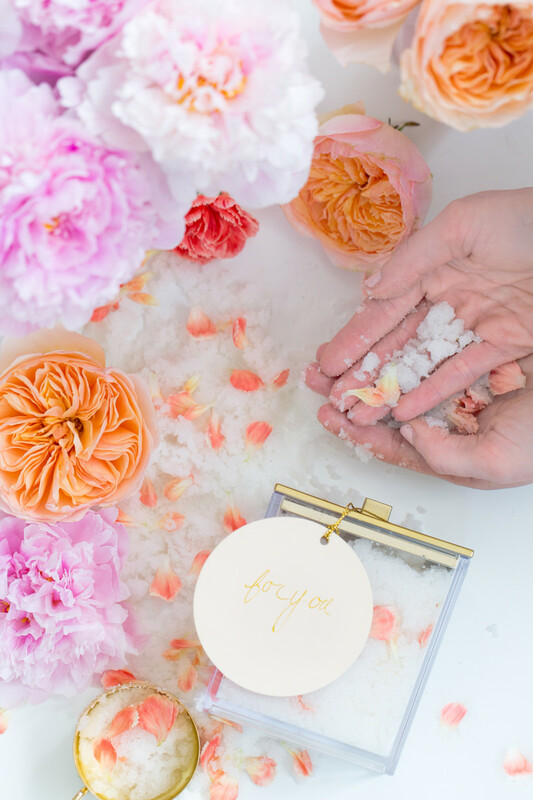 And though it took a few months—during which time she eloped with her husband!—I&apos;m so happy we were able to link back up to create a DIY Series for you, starting with a last-minute DIY gift for Mother&apos;s Day (or yourself!). 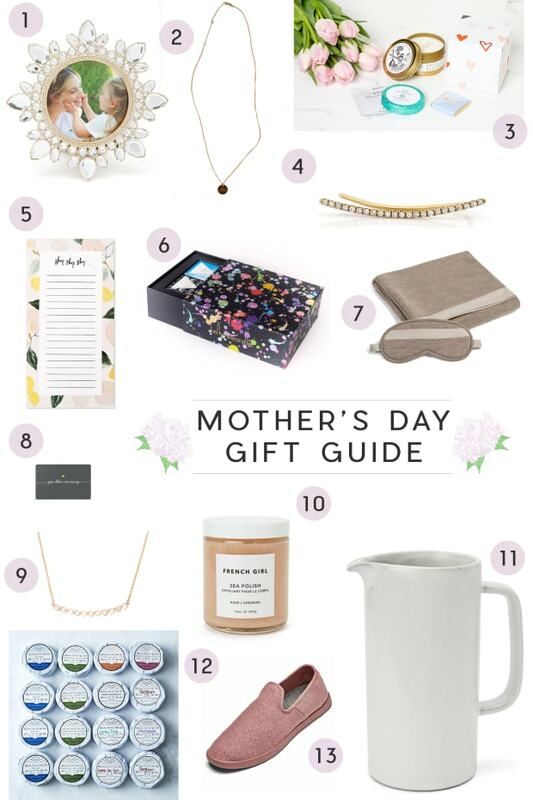 If I had to rate on a scale of 1 to 10 how excited I am to be able to contribute some DIY goodies to Cupcakes and Cashmere, I’d be a 12. I’d say that’s about the same level of chill I had when I got to meet Emily at the Golden Globes this past year. And by “meet”, I actually mean that I ran up to her and frantically introduced myself in a swarm of people. You know, just something super-chill, not a fangirl at all. 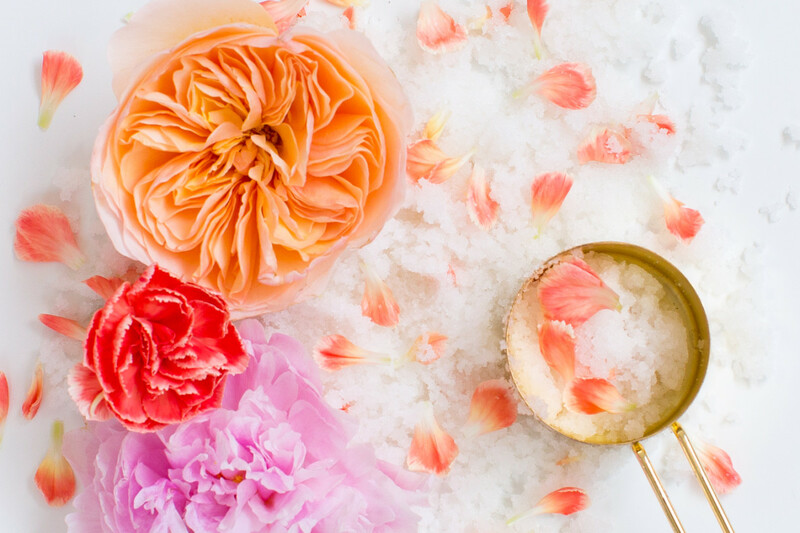 Speaking of fangirls, that’s the reaction we’re going for with this DIY floral sugar scrub that’s perfect for Mother’s Day. It literally takes five minutes at the very most to make but you’d never know you didn’t buy it, which makes it an A++ in my book. 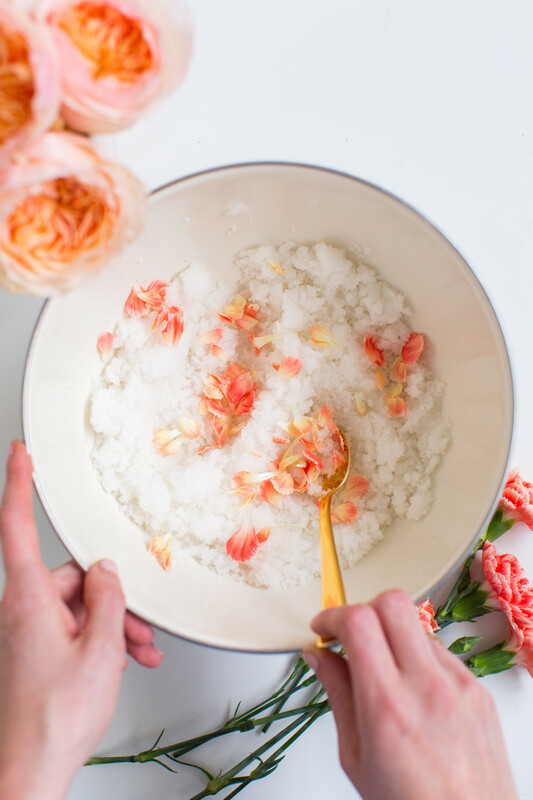 If you can stir things in a bowl, you can make this DIY sugar scrub. 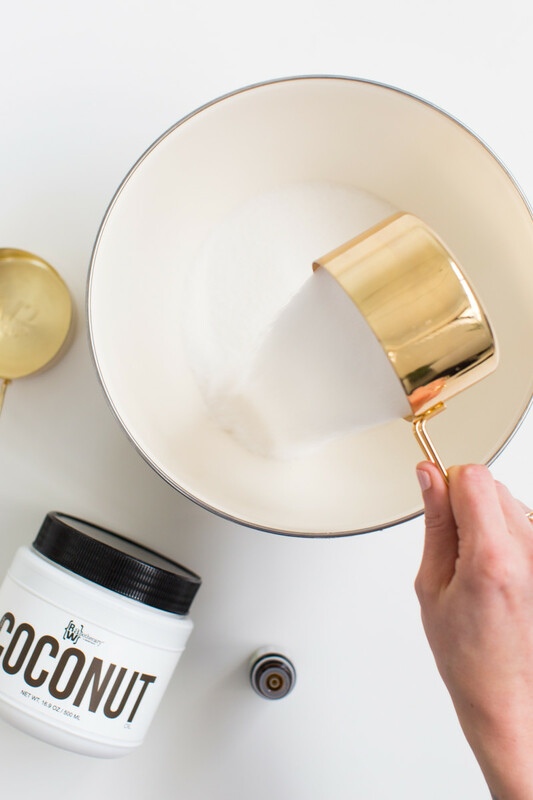 Simply mix 2 parts sugar with 1 or 1/2 parts coconut oil and stir so that you have the consistency of slightly wet sand. 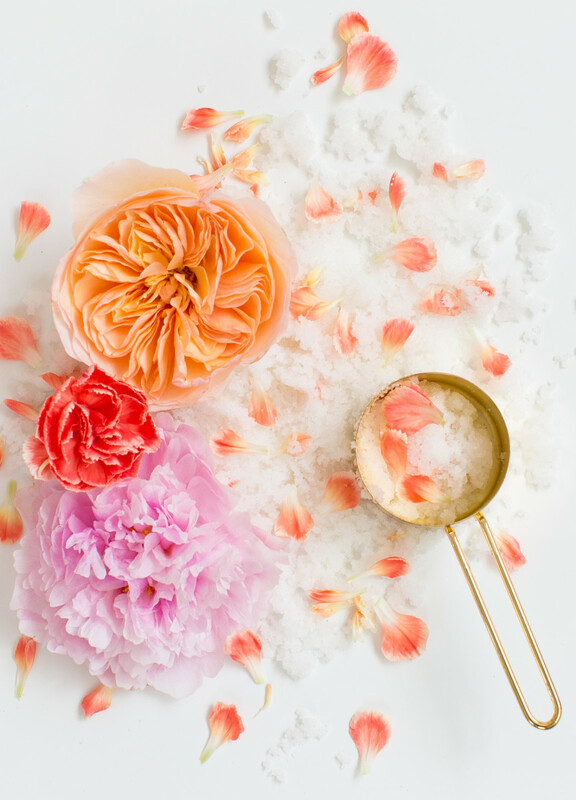 Then mix in 2 drops each of your chosen essential oils and stir again and toss in some fresh or dried rose petals for a pretty detail. 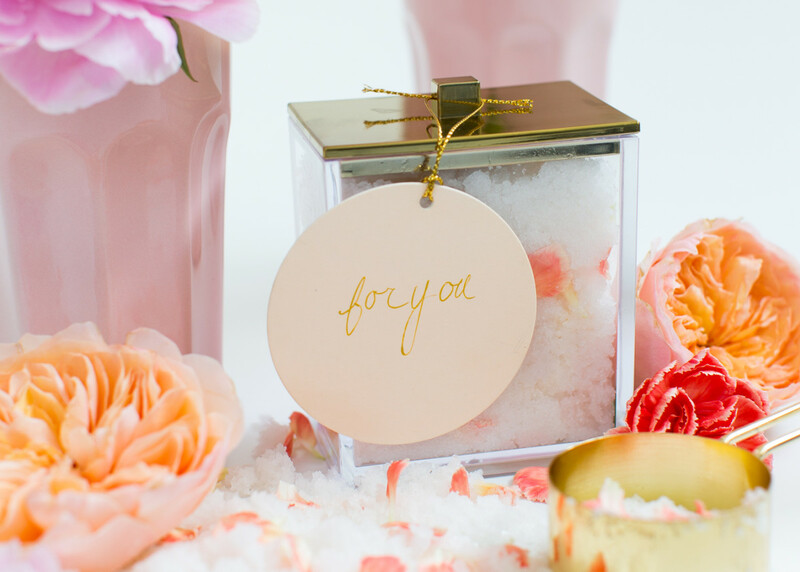 Now spoon it into a cute container that’s perfect for gifting, and string a gift tag on it. 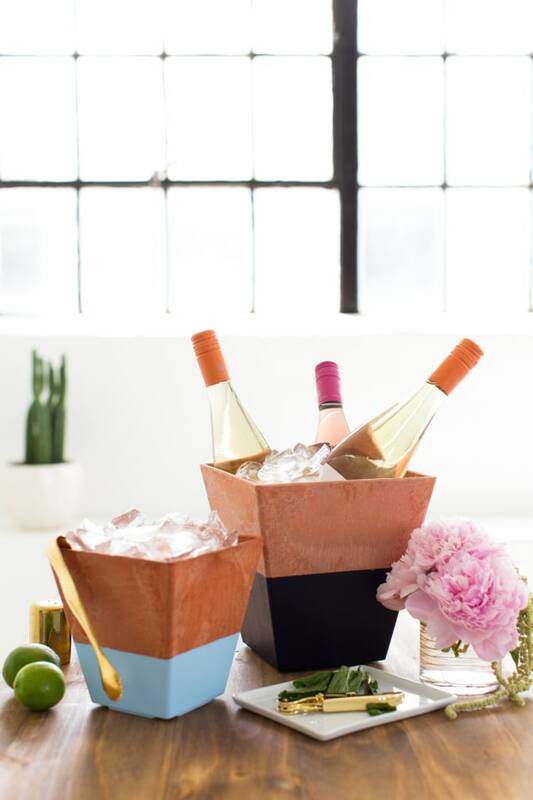 You can obviously address it to whoever you want, but I find that this is always a good go-to just in case you want to repurpose something! It also doesn’t hurt to double the recipe so that you can keep some for yourself! 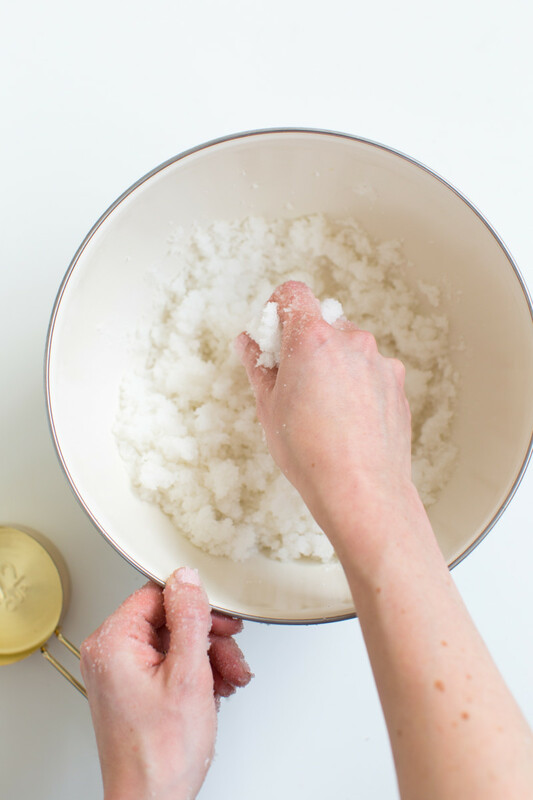 It’s all-organic, and you can make heaps of sugar scrub with the standard ingredient portions! 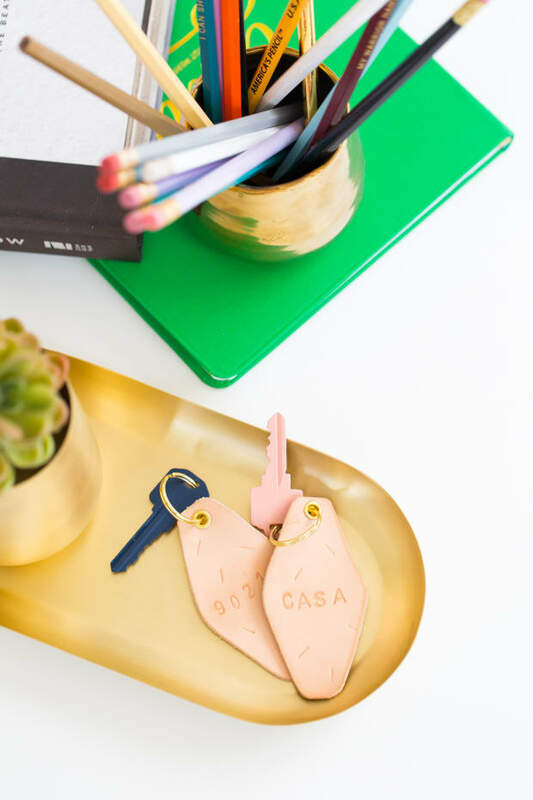 Be sure to check back for more DIYs, coming soon!